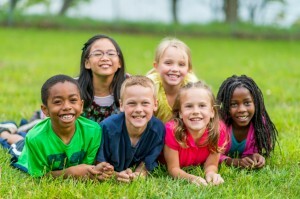 Introducing Just Children's 2015 Summer Day Camp! The rumors are true: At each of our 11 different child care centers, which are located throughout Pennsylvania and New Jersey, Just Children’s 2015 Summer Day Camp will be kicking off in just a few days. Our Summer Day Camp (also known as Summer Fun Camp), if you’re not already familiar with it, isn’t entirely different from the Before & After School programs, we run during the school year. During the summer, we simply crank up the day-long fun all season long with a schedule of field trips, movies, outdoor activities, water activities and more. Summer Fun Camp officially kicks off on Wednesday, June 17, and runs throughout the first week of September. We’ll be taking our young charges on a series of exciting yet still educational field trips, including excursions to the Camden Aquarium, Cherry Hill’s Barclay Farmstead, the upcoming Tall Ships Festival, The Funplex in Mount Laurel, BounceU, and even a petting zoo or two. The cost of our Summer Fun Camp varies slightly by the school, so if you’re interested in enrolling your child in a particular location – or if you’d like answers to questions we haven’t provided here – just call up the Just Children location of your choice and let us know what you need. In the meantime, we can tell you that a fairly typical day at Summer Fun Camp might kick off with a snack, and then perhaps some water activities involving our inflatable slides, water tables, and water sprinklers. (All water activities are monitored by CPR and First Aid-certified staff.) Recess might come next, followed by craft time, lunch, a bit of rest time or a movie, a second snack period, and then some outside or inside play time, depending on the weather. Of course, because Summer Fun Campers are grouped by age (just like our regular child care classes), and because each class at each of our locations might be slightly different than the next, your child’s activities this summer may differ from week to week — or even from day to day! Also, if your child has special needs of any sort, he or she is certainly more than welcome to be a part of Summer Fun Camp this year. All our centers are handicap accessible, and all have accessible restrooms. We’re incredibly excited to get the hottest season of the year off to a refreshingly fun and culturally beneficial start. Get in touch today for more information, or to enroll your child in their most memorable summer experience yet!